Sinicization (noun): It is the process where traditionally non-Chinese societies are placed under the influence of the Han Chinese (the dominant ethnicity of China) in order to adapt the latter’s culture, customs, and way of life. Afew weeks back, I was completely oblivious to the plight of the Uyghurs in China. Today, a part of me wishes that I had left this topic unresearched because of how much it resembles a tragic dystopian plot from a movie. 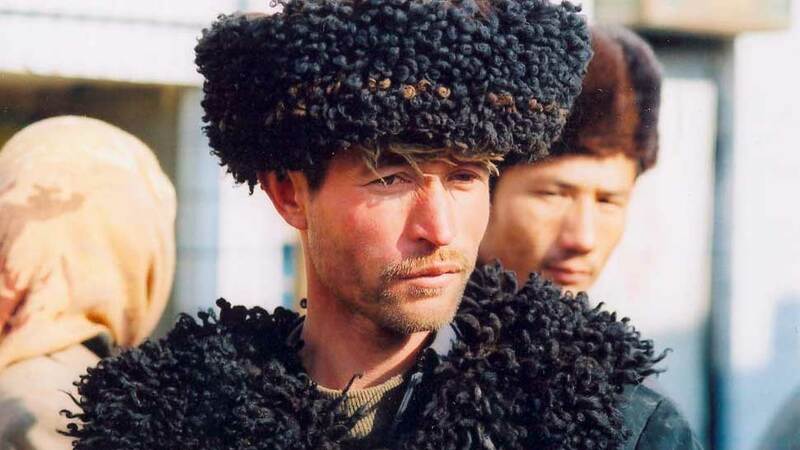 The Uyghurs are a Turkic ethnicity who have historically, and in contemporary times, lived largely in Central Asia and in China’s Xinjiang Uyghur Autonomous Region (XUAR). Besides the Han, who make up around 92% of China’s population, there are 55 ethnic minority groups in the country, which includes the Uyghurs, Hui, and Tibetans etcetera. The Uyghurs speak the Uyghur language and most of them practice the Islamic faith. The history of the conflict between the Hans and Uyghurs goes back centuries to dynastic China—although this schism has expanded since the terrorist attacks in the US on September 11, 2001 (“9/11”). China’s official narrative regarding the land the Uyghurs call home, Xinjiang, is that they have no indigenous claim to the area as they migrated from Mongolia and other Central Asian territories. This narrative also identifies the Uyghurs’ history in Xinjiang as spanning 3,800-3,900 years, while the Hans, China claims, are one of the earliest people to settle in the territory and hence have a birthright to Xinjiang. In advancing such a narrative, China looked to assert that Xinjiang is, and always has been an inseparable part of multi-ethnic China since the Han dynasty (206 BCE-24 CE). This narrative however is blemished and one-sided as historically Xinjiang was more often than not beyond China’s control. According to Michael Clarke’s article “, China did have intermittent periods of control over the area, but it was only during the Qing dynasty in the mid-eighteenth century that they exerted control for a longer period. According to Jennifer Ang’s article “Sinicizing the Uyghurs” in the journal Peace Review, the Uyghurs have an ethno-religious identity which has become underscored in contemporary times due to China’s constructed narrative regarding the Uyghurs and Xinjiang. In other words, China’s narrative that stresses their ‘historic right’ over Xinjiang has offended the Uyghurs’ culture, history, identity and has reinforced the ethnic divide between them and the Hans. In 1949, China went through a communist revolution. In the same year, the ‘peaceful liberation’ of Xinjiang took place. Although, Mao Zedong rejected Han-chauvinism and promoted a multi-ethnic Chinese nation, the sinicization of the Uyghurs began ironically under communist China. Since this time, China’s government has established an inflexible, ‘righteous’, and sinicized path to follow for all people, minorities and otherwise. Dissenting from this path whether with speech or actions is punished vehemently. One may not look further than how China has treated the Tibetans and how they are currently treating the Uyghurs (details ahead). The state wants you to behave a certain way. This state-obligated path entails and forces how people should dress, what can and cannot be openly stated, how to worship if at all, which version of history to learn, which language to speak, and which TV channels to watch etcetera. Although the aim for such an unyielding path is ironically to unify all people as ‘Chinese’, doing so is ignominious and threatens the culture, language, religion, and identity of ethnic minorities. Whilst China has provided autonomy to five regions, which have a majority non-Han ethnicity, the ultimate aim seems to be the Sinicization of these regions and ethnicities. Clarke asserts that since 1949, China has wanted to integrate Xinjiang fully with China, by politically, culturally, and economically subsuming the non-Han ethnic groups of Xinjiang into the ‘unitary, multi-ethnic state’ of China. After 1949, Uyghur books challenging the Chinese discourse were banned and Chinese was entrenched as the official language in offices, schools etcetera. Taking a leaf out of the Zionists book on colonizing (referring to settler-colonialism in Palestine), the Chinese incentivized Hans to populate Xinjiang to reduce the Uyghur demographic. This appalling and insidious tactic has worked: —in 1949, 95% of the populous was Muslim and Turki speaking, while now the Han population comprises 45% of the total. If a strong majority can be attained by the Hans, the Chinese might take away the autonomy of the region, making the Uyghur dilemma even more dire. Whilst the Soviet Union was still on its legs and had control of Central Asia, they used the Uyghurs in Central Asia, such as in Kazakhstan, to mobilize the Uyghurs in Xinjiang against China. There was even a point in 1945 when Uyghurs and Kazakh nationalists incepted the short-lived East Turkestan Republic in Xinjiang backed by the Soviets. This signifies that pacifying the Uyghurs was a priority for modern China even early on. After Soviet implosion in 1991, China introduced a new stratagem to placate the Uyghurs in Xinjiang. The plan was to develop Xinjiang and increase economic growth in the region to “buy” the Uyghurs’ loyalty. One of the ways to do this was to connect and open up Xinjiang to the newly formed Central Asian republics. This however allowed the Uyghurs in both Xinjiang and Central Asia to connect or reform linkages with each other. The fervor of the independence movements that created several new Central Asian republics spilled over in Xinjiang and nationalist enthusiasm increased during this time. To counter this, China diplomatically engaged the new republics not only to improve economic growth but more importantly to reduce separatism in Xinjiang. From 1996-2000, China’s diplomatic efforts paid dividends, through the Shanghai Five and improved bilateral relations, as they neutralized the threat faced from Uyghur advocacy groups in Central Asia. Although, during the 1990s China undoubtedly developed the Xinjiang region with highways, trains, industries and other infrastructure, this had even more adverse effects on the Uyghurs. China’s compliance towards its development/modernization policy benefited the Han immigrants in Xinjiang as they were more educated, already sinicized, and knew Chinese. The Uyghurs thus had to compete in their own homeland with Chinese-speaking Hans in an economic environment controlled by the same ethnicity. According to Jennifer Ang, this economic dichotomy is transparent when one compares the more developed northern region near Urumqi where there are more Hans to the backward southern regions near Kashgar. Furthermore, the use of resources from Xinjiang to develop other parts of China deepened this disparity. Although the economic plight the Uyghurs faced under the modernization stratagem was hard as it is, it was the religious restrictions in the 1990s (ongoing today) that caused an upsurge in violence between the Uyghurs and the Hans. These constraints included not allowing women to veil (hijab) themselves, restricting men from growing beards, disallowing fasting during Ramadan for civil servants, teachers, and party members etcetera. Furthermore, and more shockingly, children below 18 were not allowed to attend prayers and Friday prayers were not allowed to run more than half an hour. 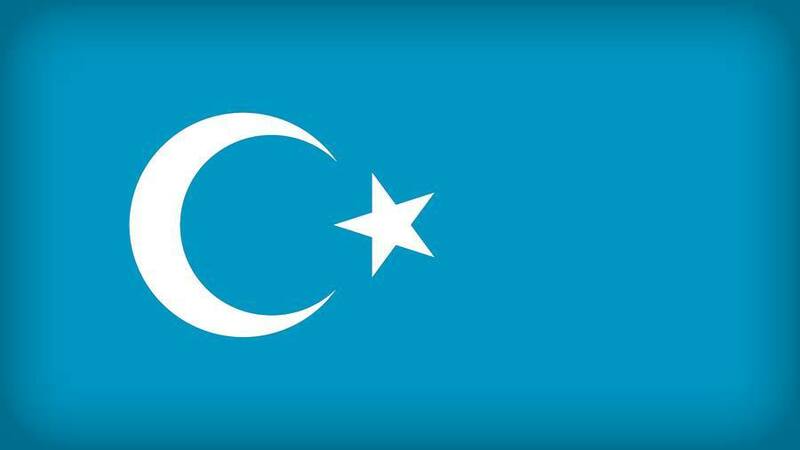 Due to the introduction of these invasive religious limitations, the country frustrated the already marginalized Uyghurs and sowed the seeds for greater future violence and even terrorism. After 9/11 and the war on terror, Chinas impetus on combatting the ‘three evils’ of terrorism, separatism, and religious extremism amplified. China has historically stated that foreign anti-state actors have used the Uyghurs to incite problems in the country; however, post 9/11, this narrative was empowered and China used it to bandwagon on the war on terror to justify their harsh actions against the Uyghurs. Under the pretext of terrorism, the Chinese punished the Uyghurs by engaging in hard tactics. This ‘bandwagon’ scheme served two objects: —firstly, to lessen international pressure on how China treats Uyghurs by leveraging the global anxiety over Islamic extremism; and, secondly, to mobilize public support domestically by using a discourse that categorizes any call for autonomy as ‘terrorism’. The latter has in turn deepened the already existing rifts between Uyghurs and Hans (and the state) and has led to terrorist attacks by each ethnicity on the other as well as communal rioting and violence. The ‘bandwagon’ strategy rewarded China with some short-term dividends, as they were able to categorize the East Turkestan Islamic Movement (ETIM) as an international terrorist outfit, but in the long-term they further ostracized the Uyghurs and internationalized their mistreatment of this community. Furthermore, China’s marginalization and terrorism-centric narrative change after 9/11 has ironically aided an extremist mindset in Xinjiang. By painting the entire Uyghur community with the same brush, it made the already frustrated Uyghurs more susceptible to the grasp of Islamic fundamentalism, and conversely allowed terrorist groups to leverage China’s Islamophobic machinations to radicalize the community. In her article “Is China’s Counterterrorism Policy in Xinjiang Working?” in The Diplomat, Adrien Morin asserts that the Chinese employed a risky strategy in demonizing the Uyghurs as a whole and failed to discern the Uyghur opposition groups’ shift from political objectives (greater autonomy and cultural tolerance) towards Islamic fundamentalism. Terrorist attacks and ethnic violence have increased in recent memory and have been orchestrated by both Hans and Uyghurs. The most tragic event was the riots in Xinjiang’s capital, Urumqi, in 2009, which claimed the lives of around 200 people while injuring over 1,700. The violence was sparked by a rumor floating in Guangdong factory, for which no evidence was found, that two Han women were raped by six Uyghur men, which led to Han workers murdering two of their Uyghur co-workers. The Uyghur community blamed the authorities for not arresting the Hans responsible for the attacks or protecting the murdered workers. This led to a domino effect and in the riots that ensued in Urumqi, the angry Uyghur community protested and killed some Han people. Two days later, the police was deployed and now Han mobs armed with hammers and axes targeted Uyghurs. In the immediate aftermath of the riots, hundreds if not thousands of Uyghur men vanished via China’s security agencies and have never been seen since. Other terrorist acts include the 2010 Aksu bombing where a Uyghur man detonated explosives killing 7 and also the 2011 Kashgar attacks where two Uyghurs hijacked a truck, killed its driver, and drove into pedestrians after which they stabbed 6 people to death. It is the state’s disenfranchisement of the Uyghurs that has not only turned Xinjiang into an ethnically divisive region epitomized by communal violence, but also has placed the Uyghurs’ identity in such an existential crisis that some of them have been hijacked by fundamentalism. China has responded to aforementioned violent events by further propping their security apparatus in Xinjiang, especially in Urumqi, which has become a police state. According to the Dissent magazine article “China’s Surveillance Laboratory” by Darren Byler and Timothy Grose, Urumqi is laden with “Convenience Police Stations” equipped with face-recognition cameras standing guard every 200 meters. The authors further mention that the city has become a “police lab” where Muslim minorities are regarded as test subjects in their Islamophobic experiment. Cameras are omnipresent and are especially focused towards mosques. Checkpoints have been increased and metal detectors are present at the entrances of all shopping centers, residential areas etcetera while police numbers have skyrocketed in these past years. The state has even used urban renewal projects in the city which has led to the destruction of lower-class areas which housed many Uyghurs. Many Uyghurs have thus had to leave the city or resettle somewhere else because of such activities. Currently an invasive security system also exists in the city that identifies residents as “safe”, “normal”, or “unsafe” based on determinants such as religion, age, and foreign contacts, etcetera—Muslim Uyghurs are most vulnerable to this system. Mosques are constantly surveilled and security personnel make Muslims pass through face-scanning technology before entering mosques. Furthermore, the architecture of mosques is also being sinicized, such as by prohibiting domes and other Islamic architectural facets, so —they now must embody Chinese characteristics. China has even objected the use of Islamic words. Words like “Inshallah”, “Asalam-u-Alaikum”, and others have been banned, and so have certain Islamic names for babies. Then there are state-run initiatives like the Islamophobic “Project Beauty”, which began in 2011, encourages Muslim women not to veil, but to show off their beauty to the world by adorning themselves with modern and more Han-centric fashion. The government also portrays every day religious activities as “extremist” and have declared them unlawful—this includes wanting to eat and/or sell halal food, using Islamic greetings, refusing to marry a Han Chinese, etcetera. Sporting a veil or keeping a beard is still unlawful and so is refusing to watch state television. Possibly the most despicable act the Chinese have enforced is prescribing state approved versions of the Holy Quran. The Holy Book has also been confiscated from many Uyghurs. Friday prayer sermons are monitored by the state and a pro-China narrative is affixed to them. In 2017, Muslims were forced to sing the national anthem under the Chinese flag before Eid al-Fitr prayers in the Yanghang Mosque. Such practices have become so routine that people have stopped attending prayer services altogether—assuredly to the delight of the atheistic Chinese Communist Party (CCP). With regards to Uyghur political penetration in Xinjiang’s CCP, the ethnicity remains a political minority. This is probably owing to the fact that religion must be renounced before joining the CCP. I must also point out how most of the Islamic world has been slumbering with regards to the treatment of the Uyghurs. This is because countries like Saudi Arabia, UAE, Kazakhstan and even Pakistan are frightful of losing billions of dollars in Chinese investment and trade—and also potentially losing a major ally that can counter American hegemony. This contrasted with how internationally outraged Muslim governments were during the peak of the Rohingya crisis makes their silence now even more shameful. Fortunately, international humanitarian organizations and the United Nations have raised awareness on this continuing tragedy and so the issue has become more mainstream. In summary, the state-approved (sinicized) path to Islam and Uyghur culture now dictates every aspect of the Uyghurs existence and reality. Opting to follow your true religion and culture will land you in prison to be re-educated or in the least be discriminated in the job industry where Han hegemony remains unchallenged. Therefore, non-conformance of state policies is extremely detrimental for the Uyghurs—their physical, mental, economic, and social survival is contingent upon their acclimatization to the sinicized version of Islam and their acceptance of a Han-centric lifestyle. The state is replacing Islamic values with Chinese ones. Byler and Grose mention the same: the state’s project requires Uyghurs to “adopt an entirely new set of rules” so that instead of Islam, they must follow the 12 secular values of China. Ang mentions that Uyghurs are trapped between Han-chauvinism and Chinese imperialism. The rules ascertained enable or disable the Uyghurs from progressing in life in Xinjiang. The Uyghurs must sinicize their religion, speech, dressing, behavior, culture, and language in order to compete with the favored Han migrants and that to, unfortunately, in their own homeland of Xinjiang.